It’s not that Blake is going to barge in, it’s that she’s secretly been there the whole time and showed up a few hours ago off screen. Probably not gonna happen but possible with the time difference thing. I mean, I’ll be on if we cover the rest of this season, we’ll find out next week I guess. 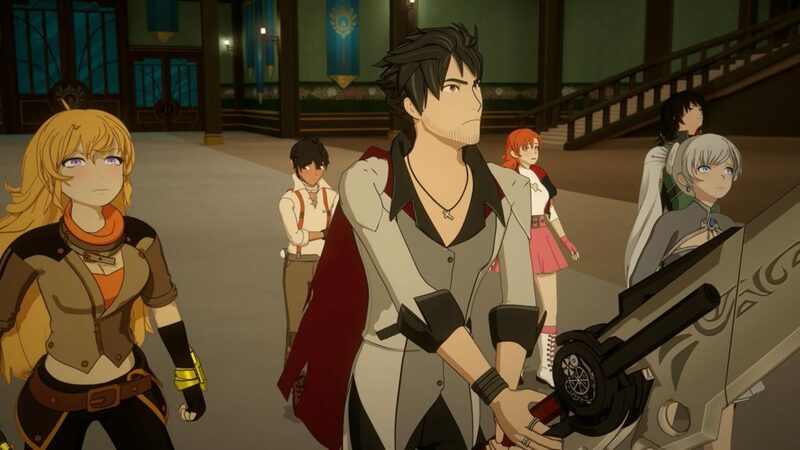 From what I’ve heard and understand of the silver eyws,Ruby’s eyes are supposed to turn Grimms to stone (if I’m not wrong thus was shown in the end of season 3 with all of the team’s split up), seeing as it affected Cinder it’s possible Cinder was originally a Grimm. Cinder was based on Cinderella so could her human form be her “ball gown”? We also had that scene from the next episode that also supports this theory somewhat.